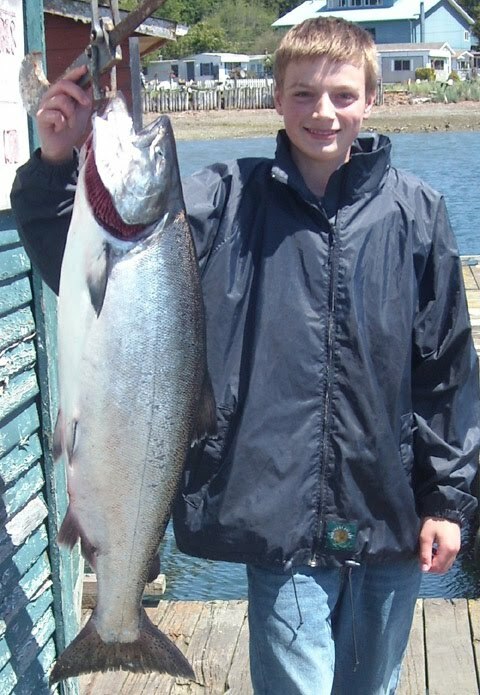 Kyle McFarlane had some luck fishing in Sooke last week, sending in this photos of a 29 pound spring. Not bad for a 15 year old! He caught this nice chinook salmon at the tide change at Otter Point, using a purple haze flasher and red-chrome teaser head with anchovies at about 39 feet. It was their only fish of the day. Good job! 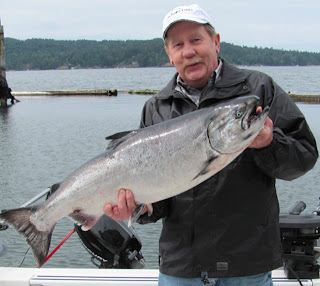 Gord from Foghorn Fishing Charters sent in the following Sooke fishing report: "Well there are salmon out there you just have to work very hard to get them. Some days they are up top, other days down below, and you need to work through all the colors. We have had the most success with Rhys Davis Bullet Heads, and everyday has been a little different. Here are a couple of happy clients from Australia and Utah". 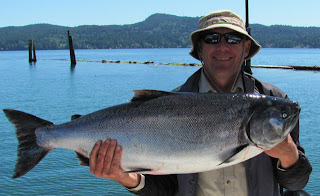 There's some fun fishing to be had in Sooke's waters, come on out!